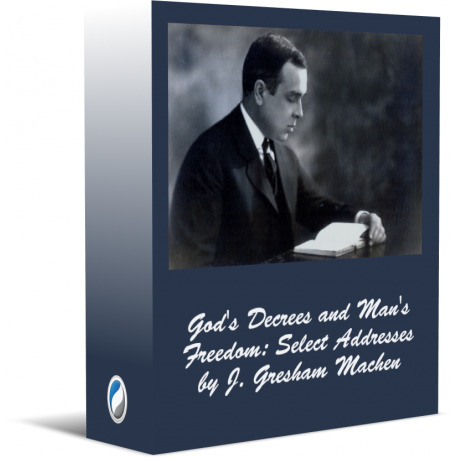 This title is supplemental to the 10-volume collection Works of J. Gresham Machen; it is not included in that collection, but is available here as a separate title. If you want to include it as part of either the Works of Machen or the larger Classics of Princeton Theology collection, make sure to add it to your order here. Machen lectured extensively in the areas of theology, apologetics, and New Testament studies, and this title represents a small set of selected addresses, originally given on radio prior to his death in 1937. These were subsequently published in book form under the title The Christian View of Man. In addition to the address that leads this set ("God's Decrees and Man's Freedom"), five others are included: "The Living and True God", "God's Image in Man", "What Is Sin? ", "The Majesty of the Law of God", and "Sinner's Saved by Grace". In these messages, Machen effectively articulates many points and teachings which would be considered essential for a proper understanding of Evangelical theology today.